Boston Roofing and Gutters provide a wide range of services for all your chimney needs. Water — a chimney with a damaged cap or no cap at all is asking for trouble. Once water gets in, it can wreak all kinds of havoc and reduce the lifetime of your masonry. Animals, birds, and insects can take up residence in a capless chimney. Leaves, twigs, and other objects can get into a chimney without a cap. These also can obstruct your chimney and potentially cause fire or build up of dangerous gasses. It’s highly recommended to have your chimney cleaned and inspected annually. It’s best to have this done before the burning season. 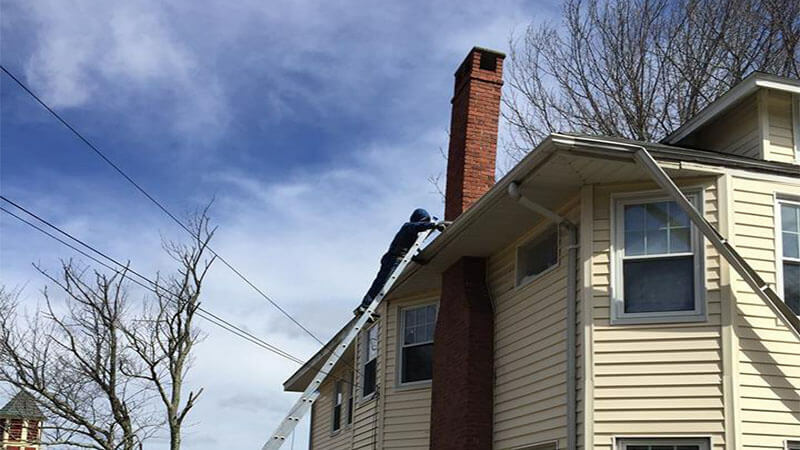 Whether it’s from weather damage or wear and tear over time, Boston Roofing and Gutters can provide all your chimney repair needs. 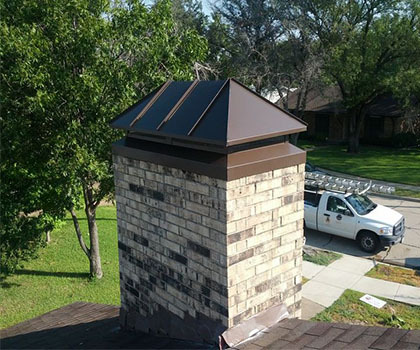 When the condition of your chimney is beyond a simple repair, that’s when a chimney rebuild becomes necessary. Roofline up-The chimney is torn down to the roofline and is then built back including a new crown. Total rebuild-The entire outer layer of brick needs to be replaced in addition to the crown.